The artist Beatriz da Costa lost her long, fierce battle with cancer on the evening of 27 December 2012, at the age of 38. I first met Beatriz in 2003, at our second presentation of GenTerra at the Natural History Museum in London, as part of our CleanRooms exhibition, a work on which she had collaborated with Critical Art Ensemble (CAE). Beatriz had been unable to attend the first presentation in 2002 at Gallery Oldham, due to ill health. GenTerra was one of CAE’s “participatory theatre” works, which enabled its audiences to consider the consequences of creating transgenic life forms. GenTerra was a fictitious biotechnology corporation “balancing profits with social responsibility”. Lab-coated assistants (members of CAE) introduced GenTerra’s bioproducts to the audience, and would explain the practical applications of such research, such as disease treatment and xenotransplantation. Audience members were taught how to grow and store their own transgenic bacteria. They could then choose to spin a bacteria release machine with only one of its ten chambers holding active transgenic bacteria. They were told that the bacteria they might release into the environment was a benign strain and had to decide whether to play this game of ‘genetic Russian roulette’. 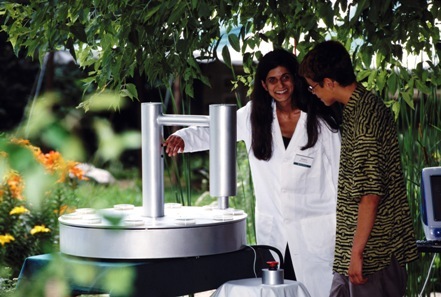 The bacteria release machine was designed and made by Beatriz. It is interesting to realise now how widely and deeply Beatriz’s interests as an artist paralleled and intersected with those of the Arts Catalyst, yet we did not work with her as a solo artist until 2009. 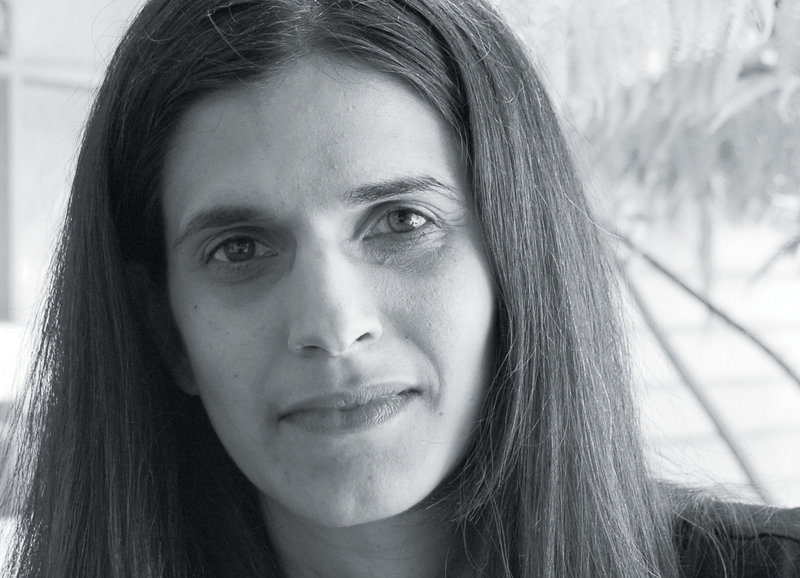 Beatriz specialised in the intersections of art, science, engineering, and politics. She and her collaborators – including as a founder member of Preemptive Media, and a collaborator with Critical Art Ensemble – frequently engaged the public by running workshops that translated challenging new technical and scientific developments into accessible activities. She was an innovator in the use of technology and biotechnology in her art, with a remarkable drive to intellectually grasp and gain the technical skills to engage with emerging areas of science and technology. In 2008, she co-edited the MIT Press anthology Tactical Biopolitics: Art, Activism, and Technoscience. 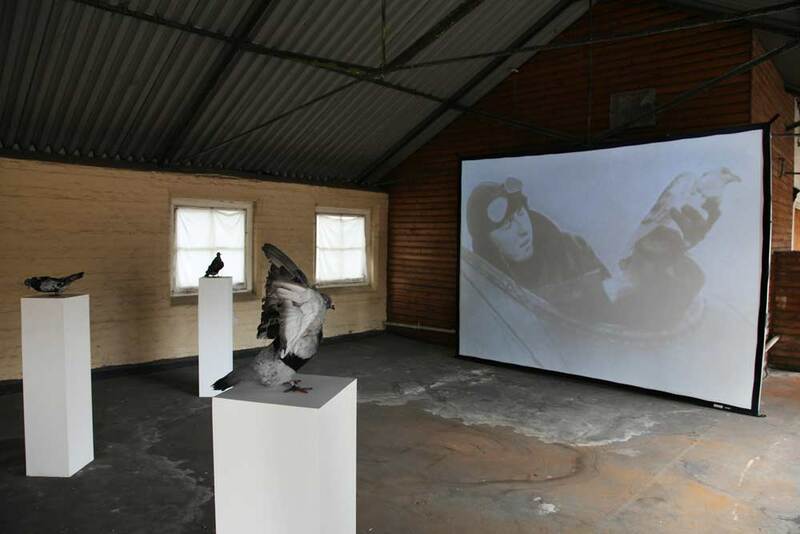 In 2009, we presented Beatriz’s project Pigeonblog as part of Interspecies, an exhibition and programme which explored artists’ attempts to collaborate with animals. Pigeonblog was a collaboration between homing pigeons, artists, engineers and pigeon fanciers, a citizen scientific data-gathering initiative designed to college and distribute information about air quality conditions. Pigeons carried custom-built miniature air pollution sensing devices enabled to send the collected localized information to an online server. Pollution levels were visualised and plotted in real-time on an Internet map. Interspecies was shown at Cornerhouse, Manchester, and at the A Foundation in London. That year, we also invited Beatriz to create a new project for the exhibition Dark Places, a series of commissioned artists’ projects exploring spaces and institutions below the radar of common knowledge, and examining how artists are evolving strategies for art as a form of knowledge production. Beatriz’s project for Dark Places, A Memorial for the Still Living explored the ‘dark places’ of zoological science and presented a sombre reflection on endangered species of the British Isles. 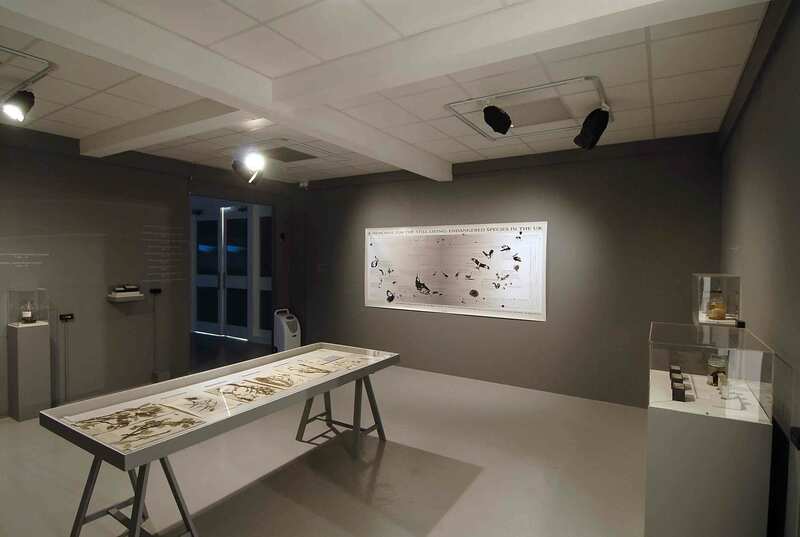 Produced remotely, with Beatriz sending detailed lists of species and specifications, the artwork manifested as a striking art installation which confronted visitors with the reality of British species threatened with extinction. 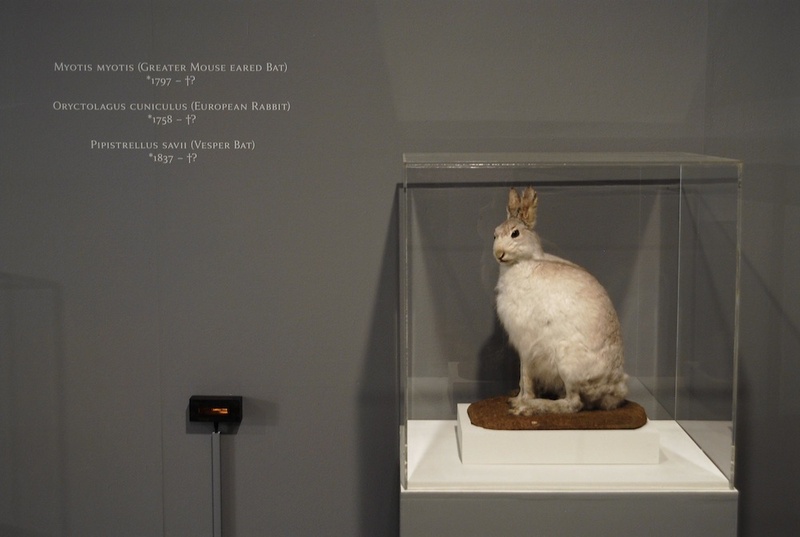 Continuing the artist’s investigation into interspecies, her interest was to confront visitors with the only mode of encounter left once a species has become extinct: the description, image, sound or taxidermed shell of a once thriving organism. However, rather than focusing on already extinct species, her focus was on the ‘still living’; species classified as being under threat, but which still stand a chance for survival if immediate action is taken. Beatriz posited that, after they have been eradicated from our planet as a result of hunting, loss of habitat or climate change, our only opportunities for interaction with these species will be with bottled and mounted specimens. The possibility of an encounter ‘in the flesh’ will have disappeared, with humans reduced to studying preserved examples of each species. A Memorial for the Still Living, Beatriz da Costa. Dark Places, John Hansard Gallery, 2009-10. Photo: Steve Shrimpton. To realise this exhibit, Beatriz worked collaboratively with the Arts Catalyst team and the collection curators at the Horniman Museum and the Natural History Museum in London. 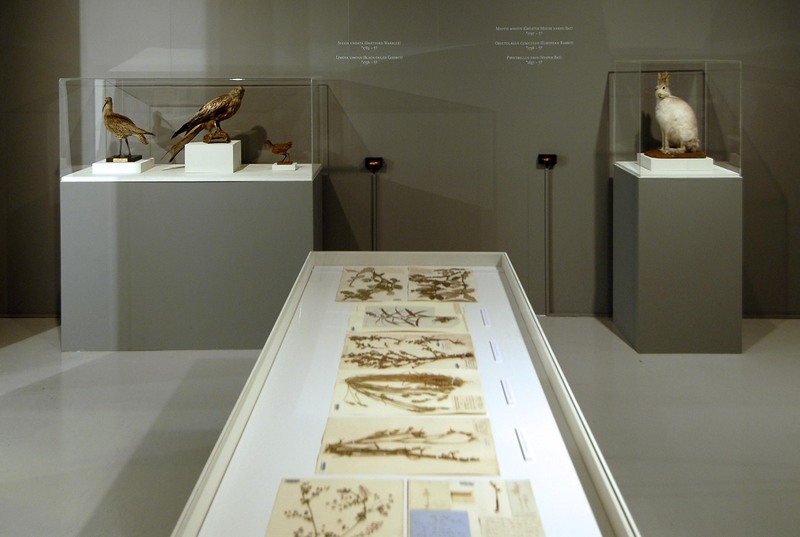 Central to the installation were taxidermed specimens of endangered animals alongside preserved botanical samples of plants under threat. Each specimen was given a ‘birth date’ (the date of classification and inclusion into the corpus of western science) as well as a ‘death date’ (the date of projected extinction). A Memorial for the Still Living was shown as part of the Dark Places exhibition at the John Hansard Gallery in Southampton (1), and then as a solo exhibition at the Horniman Museum in London. 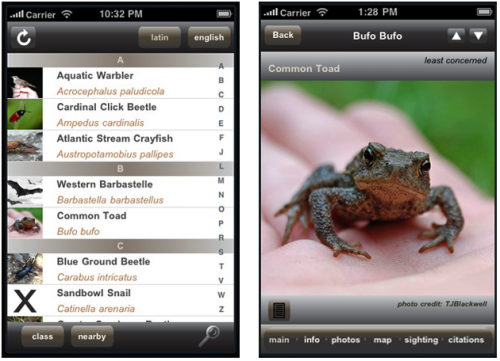 To coincide with the exhibition, the artist released the Endangered Species Finder, a mobile application that facilitates encounters with other species within their ‘natural’ environments. Beatriz believed that experience and encounter, not just policy and regulations, are what ultimately change our behavior towards our environment. Through her encouragement of a ‘go out and meet the species before it’s too late’ attitude, she hoped to make a small contribution to the collective effort of examining our current relationships to non-human species. Of course, the project and its title, A Memorial for the Still Living, acquired a powerful poignancy after Beatriz’ diagnosis with breast cancer and as the disease progressed. Constructing the installation exactly to her specifications became invested with great importance for us, and I will mention here our producer Gillean Dickie, who worked creatively and collaboratively with Beatriz to fix every small detail as the artist wanted it. Whilst more than 13,000 people saw the installation in Southampton and London, Beatriz herself never saw it in its physical form because she was too ill to travel. We documented it on video and photographs for her, and when she felt well enough, she came to London in early 2011 to talk about the work in a public event at the Arts Catalyst. Our curator Rob La Frenais took the opportunity to record an interview with Beatriz about her work, an interview which we will make available soon. There is no doubt that we would have commissioned Beatriz again. We were in early discussion with Botanic Gardens Conservation International about a potential project with Beatriz, and we also – as she became more ill – discussed showing her powerful video installation, Dying for the Other, in the UK, a work which documented the lives of mice used in breast cancer research and humans suffering from the same disease. In order to produce Dying for the Other, Beatriz documented scenes of her own life during the summer of 2011 and combined them with footage taken at a breast cancer research facility in New York City over the same time frame. Despite her worsening condition and the many surgeries that she endured, Beatriz – Shani to her friends, as we were by now – was often in contact with us, discussing projects, being interviewed by Skype for a research project by an embedded researcher with Arts Catalyst, discussing future plans until she could no longer think clearly or type and it had become clear to us all that her time was running out. It is of some consolation that she died at home, with people she loved, yet still unbearable and unfair that we have lost this vibrant, clever, committed woman and artist. 1. A Memorial for the Still Living was commissioned by The Arts Catalyst and co-curated with the Office of Experiments, John Hansard Gallery and SCAN, for Dark Places.